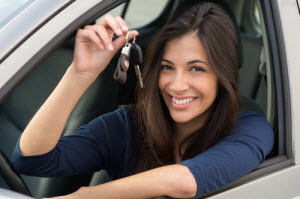 Leasing a car is an attractive option for many car shoppers: Short-term commitment, lower monthly payments, and little-to-no down payment are some of the biggest perks of leasing. But, if you’re shopping for a used car, you may think that’s all out of your reach. Despite what you may think, though, you can lease a used car and reap all the same benefits as a new-car lease. If you’re looking for a used car in Marlton, Cherry Hill, or Mt. Laurel, learn more about used car leases and see if this is a good fit for you. The vehicle may be different, but leasing a used car isn’t that different from leasing a new one. The commitment is short, and the monthly lease payment is determined by the car’s value and interest rate. When the lease is up, you simply return the car to the dealership and move on to the next. Leasing a used car has some important considerations, however. In most cases, used car leases involve certified pre-owned vehicles, because they’re closer to a new car in terms of condition and mileage. This will give you fewer options than buying, but there are still plenty of quality certified pre-owned vehicles on the market. The interest rate may also be higher on a used car, but the low price of a used car helps to balance that out, giving you a low monthly payment, as well as less expensive insurance. If you decide to buy, that low price and residual value will help you have a much lower cost than a new-car lease would. If you think leasing a used car is the right choice for you, there are a few things to consider. Used car leases aren’t available at all dealerships, so you may need to look around to find a dealership that offers this option and has a wide selection of possible lease vehicles. Before you make a decision, be sure to check the lease on a comparable new vehicle to see how much you are saving. In some cases, you may find that it costs you less to lease new. If leasing a used car sounds like the right choice for you, stop by Burns Honda to browse our huge inventory of certified pre-owned and used cars, trucks, and SUVs. Built to last and known for holding their value, Honda vehicles are an excellent option to pair with a used car lease, and we have plenty of exciting models for you to choose from at our dealership near Marlton, Cherry Hill, and Mt. Laurel. Contact us or visit us today to see what we can do for you!